The Pedaltrain Grande is the largest board that Pedaltrain produce. Made for professional guitarists who require a wide range of pedals, but want to keep them organised on a large lightweight board. Solid build quality ensures durability, and an included flight case provides portability and protection. 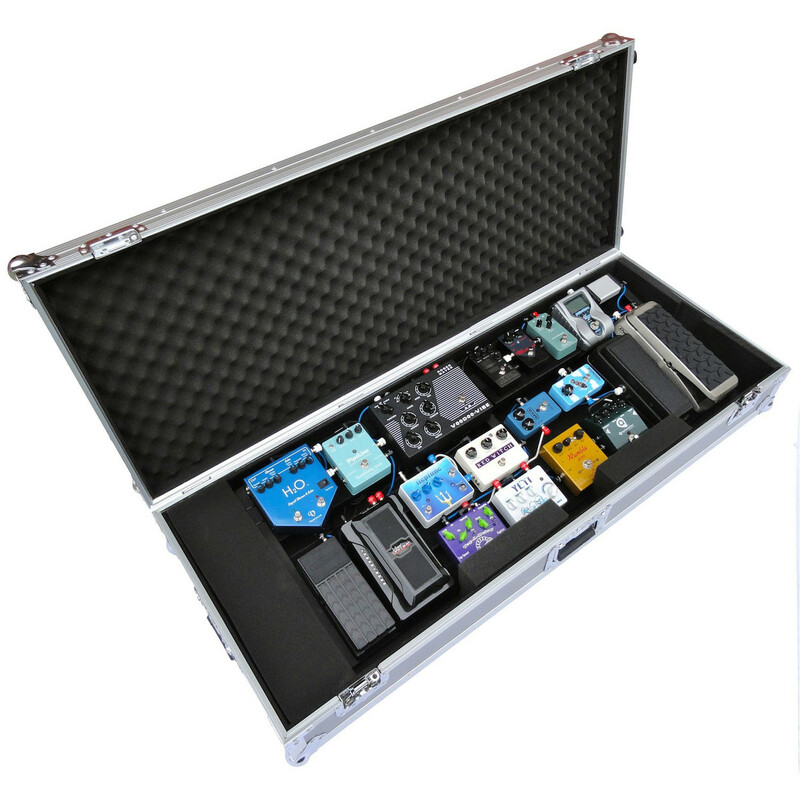 The Pedaltrain Grande is the largest pedal board that Pedaltrain produce. This lightweight board is capable of holding a wide range of effect pedals required by professional guitarists. Included brackets allow mounting of a power supply underneath the frame to decrease clutter and help keep you organised. More space under the Pedaltrain Grande allows for larger power units. 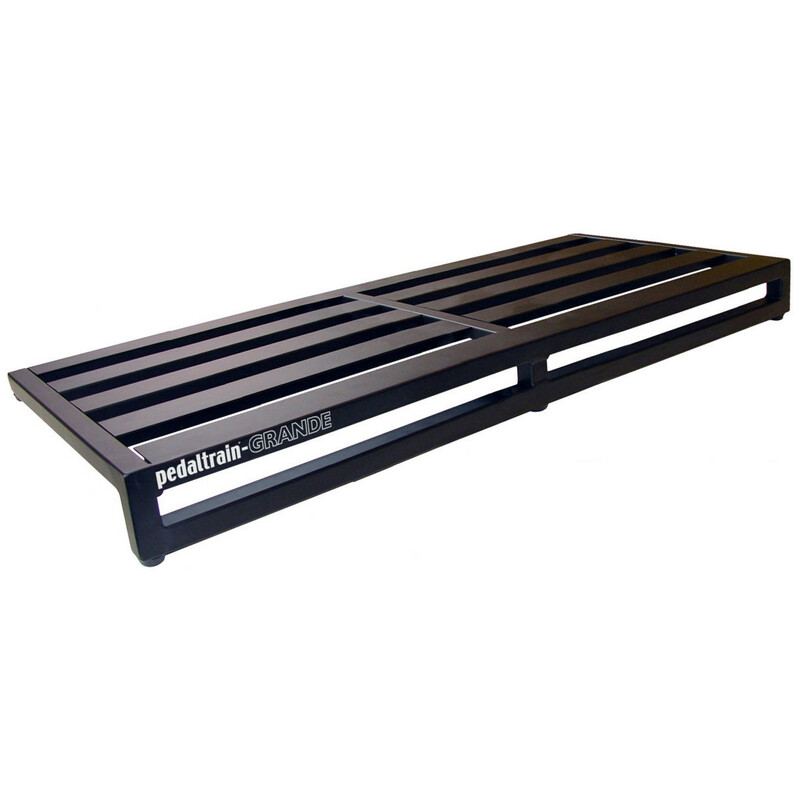 Constructed from lightweight aluminium the Pedaltrain Pro is an easily portable piece of equipment with a strong build quality, ensuring durability and longevity. 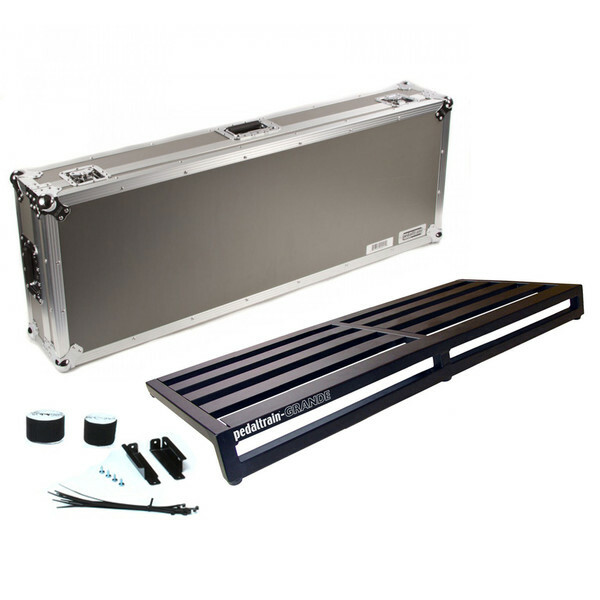 The included flight case provides a strong, secure, storage and transportation solution for your Pedaltrain Grande. Chrome plated steel and heavy duty aluminium hardware with full recessed latches and handles provide high levels of durability. Convenient wheels and laminate/plywood constructed panels ensure this case is light and portable. The padded interior also includes plenty of storage space for accessories and extra equipment. Includes: Power supply mounting brackets, Hook-and-loop with adhesive backing, Zip ties.